I love the Catholic Church! If you take the first letter of each antiphon (after the 'O') from the bottom up, you get 'Ero Cras', which means 'Tomorrow, I will come' in Latin. I love the rich symbolism of each antiphon. I love the intensity of the buildup to Christmas that still allows us to ponder the attributes of Him who is coming. 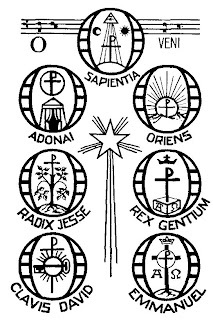 And I especially love how the intensity of the liturgical season mirrors the intensity of the real-life preparations going on right now. There is a reason we're all frantically cooking, cleaning, buying, thinking and preparing. We're like a "Martha" right now; busily making everything perfect and set for the Lord's coming. 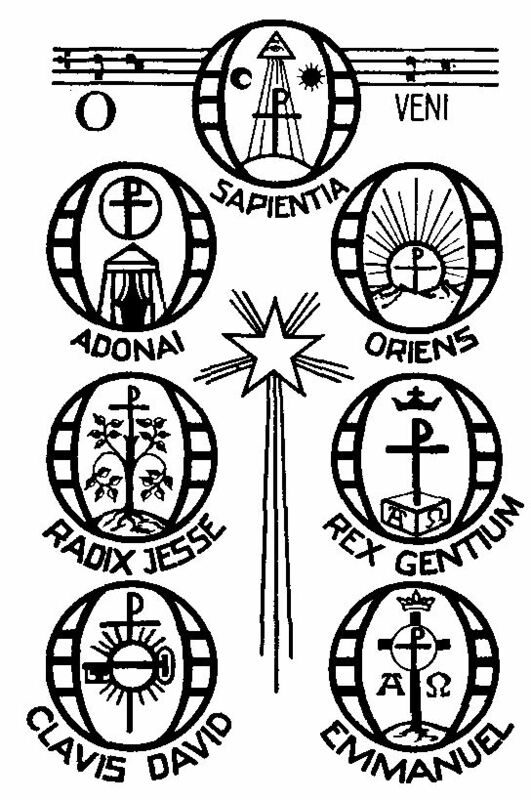 The O Antiphons help us not forget to be a "Mary" and spend time pondering the Christ Child's presence. BEAUTIFUL. I did not know the "Ero Cras" part.. if I ever did know, I forgot over the years, so thank you for bringing this to our attention. And I love what you said about the O Antiphons helping us not forget to be a Mary! Thank you for this post. What a thoughtful post Sarah, and I didn't know about the "Ero Cras" part either. I love the Catholic Church, too! Beautiful, Miss Sarah.